For enhanced safety, the front and rear seat shoulder belts of the BMW 3 Series have pretensioners to tighten the seatbelts and eliminate dangerous slack in the event of a collision and force limiters to limit the pressure the belts will exert on the passengers. The Honda Accord Sedan doesn’t offer pretensioners for the rear seat belts. The 3 Series offers all wheel drive to maximize traction under poor conditions, especially in ice and snow. The Accord Sedan doesn’t offer all wheel drive. The 3 Series has standard Dynamic Stability Control (DSC), which uses the antilock brake hardware along with powerful software and additional sensors to detect the beginning of a skid. The DSC then intervenes by automatically applying the brake at one appropriate wheel, preventing a skid. A skid prevention system is only available on the Accord Sedan V6/Hybrid. A National Highway Traffic Safety Administration study showed that skid control systems reduced single-vehicle car crashes by 30%. The 3 Series offers an optional Park Distance Control to help warn drivers about vehicles, pedestrians or other obstacles behind their vehicle. This collision warning system uses radar to detect obstacles behind the rear bumper. The Accord Sedan doesn’t offer a rear collision sensor. Compared to metal, the 3 Series’ plastic fuel tank can withstand harder, more intrusive impacts without leaking; this decreases the possibility of fire. The Honda Accord Sedan has a metal gas tank. The 3 Series offers optional BMW Assist, which uses a global positioning satellite (GPS) receiver and a cellular system to get driving directions or send emergency personnel to the scene if any airbags deploy. The Accord Sedan doesn’t offer a GPS response system, only a navigation computer with no live response for emergencies. Both the 3 Series and the Accord Sedan have standard driver and passenger frontal airbags, front side-impact airbags, head airbags, four wheel antilock brakes and electronic stability systems to prevent skidding. For its top level performance in frontal and side impact tests, and acceptable performance in rear impact tests, the Insurance Institute for Highway Safety rates the 3 Series Sedan as a “Silver” Top Safety Pick, its second highest rating, granted to only 8 vehicles tested by the IIHS. The Accord Sedan doesn’t qualify for the IIHS’ top ratings. The 3 Series comes with a full 4 year/50,000 mile basic warranty, which covers the entire car. The Accord Sedan’s 3 year/36,000 mile basic warranty expires 1 year and 14,000 miles sooner. The 3 Series comes with free roadside assistance for 4 years 50,000 miles. 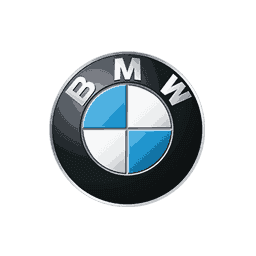 BMW will send help if you run out of gas, need a jump start, lock your keys in or need any assistance on the road. Honda doesn’t give free roadside assistance for the Accord Sedan. The 3 Series’ corrosion warranty is 7 years longer than the Accord Sedan’s (12 vs. 5 years). BMW pays for scheduled maintenance on the 3 Series for 4 years and 50,000 miles. 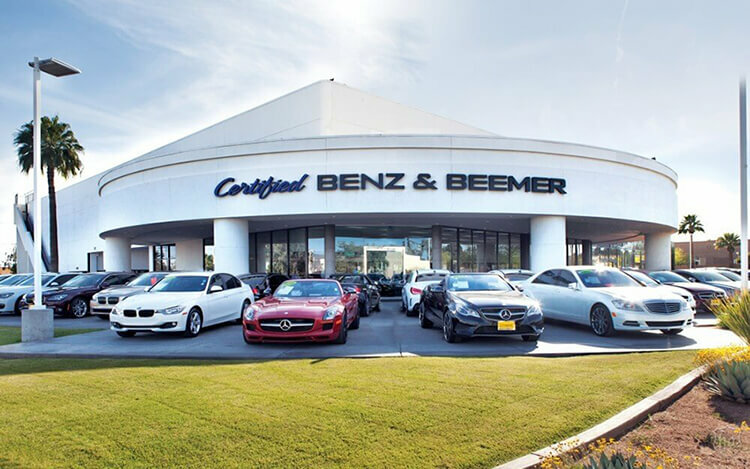 BMW will pay for oil changes, tire rotation, lubrication and any other scheduled maintenance. Honda doesn’t pay scheduled maintenance for the Accord Sedan. The camshafts in the 3 Series’ engine are driven by a hardened steel chain, with no maintenance needs. The Accord Sedan 3.0 SOHC V6, Accord Sedan Hybrid 3.0 SOHC V6 hybrid’s camshafts are driven by a rubber belt which eventually needs to be replaced. If the Accord Sedan’s cam drive belt breaks the engine could be severely damaged when the pistons hit the opened valves. The battery on the 3 Series is in the trunk, which protects it from hot underhood temperatures which can degrade battery life. By keeping the 3 Series’ battery 20 to 30 degrees cooler, its life is increased by years. The Accord Sedan’s battery is in the hot engine compartment. 325i 3.0 DOHC 6 cyl. 330i 3.0 DOHC 6 cyl. Accord Sedan 2.4 DOHC 4 cyl. On the EPA test cycle the 325i/330i Auto gets better fuel mileage than the Accord Sedan V6 Auto (21 city/29 hwy vs. 20 city/29 hwy). The 3 Series’ standard front and rear disc brakes are vented to help dissipate heat for shorter stops with less fading. The rear discs on the Accord Sedan are solid, not vented. The BMW 3 Series has standard antilock four wheel disc brakes for better stopping power and improved directional control in poor weather. Rear drums are standard on the Accord Sedan. Drums can heat up and make stops longer, especially with antilock brakes which work much harder than conventional brakes. For better traction, the 3 Series has larger standard tires than the Accord Sedan (205/55R16 vs. 195/65R15). The 3 Series’ optional tires are larger than the largest tires available on the Accord Sedan (F:225/40R18 & R:255/35R18 vs. 215/60R16). The 325i Sedan’s standard tires provide better handling because they have a lower 55 series profile (height to width ratio) which provides a stiffer sidewall than the Accord Sedan LX 4cyl.’s standard 65 series tires. The 3 Series’ optional 225/40R18 front and 255/35R18 rear tires have a lower 40 series front and 35 series rear profile than the Accord Sedan V6’s 50 series tires. For better ride, handling and brake cooling the 325i Sedan has standard 16 inch wheels. Smaller 15 inch wheels are standard on the Accord Sedan LX 4cyl. The 3 Series’ optional 18 inch wheels are larger than the 17 inch wheels on the Accord Sedan V6. The 3 Series has a standard tire pressure monitoring system, which will alert the driver to a drop in tire pressure before damage to the tire or an accident might occur. The Accord Sedan doesn’t offer a low tire pressure warning system. Changing a flat tire near traffic can be dangerous and inconvenient. The run-flat tires available on the 3 Series can be driven up to 50 miles without any air pressure, allowing you to drive to a service station for a repair. The Accord Sedan doesn’t offer run-flat tires. The 3 Series has standard front and rear stabilizer bars, which help keep the 3 Series flat and controlled during cornering. The Accord Sedan VP suspension doesn’t offer a rear stabilizer bar. The 3 Series’ front to rear weight distribution is more even (50.3% to 49.7%) than the Accord Sedan’s (60.3% to 39.7%). This gives the 3 Series more stable handling and braking. The 325i Sedan AWD handles at .87 G’s, while the Accord Sedan EX pulls only .69 G’s of cornering force in a Road & Track skidpad test. The 330i Sedan goes through Motor Trend’s slalom 8.1 MPH faster than the Accord Sedan LX (67.8 vs. 59.7 MPH). For better maneuverability the 3 Series’ turning circle is tighter than the Accord Sedan’s. The 3 Series is 1 foot shorter than the Accord Sedan, making the 3 Series easier to handle, maneuver and park in tight spaces. A low lift-over trunk design makes loading and unloading the 3 Series easier. The 3 Series’ trunk lift-over height is 26.75 inches, while the Accord Sedan’s liftover is 28 inches. To allow full utilization of available cargo room, the 3 Series’ trunk lid uses gas strut supported hinges that don’t intrude into the trunk. The Accord Sedan’s useful trunk space is reduced by its intrusive beam hinge. The 3 Series’ optional folding rear seats are split to accommodate bulky cargo. The Accord Sedan’s standard single piece folding rear seat is not as flexible; long cargo and a passenger can’t share the rear seat. The engine computer on the 3 Series automatically engages the starter until the car starts with one twist of the key and disables the starter while the engine is running. The Accord Sedan’s starter can be accidentally engaged while the engine is running, making a grinding noise and possibly damaging the starter and ring gear. When two different drivers share the 3 Series, the optional memory systems make it convenient for both. Each setting activates different, customized memories for the seat position, outside mirror positions and radio stations. The Accord Sedan doesn’t offer a memory system. The power windows standard on both the 3 Series and the Accord Sedan have locks to prevent small children from operating them. When the lock on the 3 Series is engaged the driver can still operate all of the windows, for instance to close one opened by a child. The Accord Sedan prevents the driver from operating the other windows just as it does the other passengers. The 3 Series’ front and rear power windows raise and lower automatically with one touch, especially convenient at tollbooths or drive-up windows. Only the driver’s window of the Accord Sedan works automatically with one touch. The 3 Series’ standard rain-sensitive wipers adjust their speed to the amount of rainfall on the windshield. This allows the driver to concentrate on driving without constantly adjusting the wipers. The Accord Sedan VP’s standard wipers only have one fixed delay setting, so the driver will have to manually switch them between slow and intermittent. The Accord Sedan LX/SE/EX’s intermittent wipers have to be constantly adjusted. Heated windshield washer nozzles are standard on the 3 Series to prevent washer fluid and nozzles from freezing and help continue to keep the windshield clear in sub-freezing temperatures. The Accord Sedan doesn’t offer heated windshield washer nozzles. In poor weather, headlights can lose their effectiveness as grime builds up on their lenses. This can reduce visibility without the driver realizing. The 3 Series offers available headlight washers to keep headlight output high. The Accord Sedan doesn’t offer headlight washers. To help drivers avoid possible obstacles, the 3 Series offers available cornering lights to illuminate around corners. The Accord Sedan doesn’t offer cornering lights. A power rear sun shade is optional in the 3 Series to help block heat and glare for the rear passengers. The Accord Sedan doesn’t offer a rear sun shade. When the 3 Series with available tilt-down mirrors is put in reverse, the passenger rearview mirror tilts from its original position. This gives the driver a better view of the curb during parallel parking maneuvers. Shifting out of reverse puts the mirror into its original position. The Accord Sedan’s mirror doesn’t automatically adjust for backing. The 3 Series’ optional rear and side view mirrors have an automatic dimming feature. This mirror can be set to automatically darken quickly when headlights shine on it, keeping following vehicles from blinding or distracting the driver. The Accord Sedan doesn’t offer the luxury of automatic dimming mirrors. The 3 Series has a standard center folding armrest for the rear passengers. A center armrest helps make rear passengers more comfortable. The Accord Sedan VP doesn’t offer a rear seat center armrest. Both the 3 Series and the Accord Sedan offer rear vents. For greater rear passenger comfort, the 3 Series has standard rear air conditioning vents to keep rear occupants cool in summer or warm in winter. The Accord Sedan doesn’t offer rear air conditioning vents, only heat vents. To keep a safe, consistent following distance, the 3 Series offers an optional Active Cruise Control, which alters the speed of the vehicle without driver intervention. This allows the driver to use cruise control more safely without constantly having to disengage it when approaching slower traffic. The Accord Sedan doesn’t offer an adaptive cruise control. Wireless connectivity is optional on the 3 Series, connecting the driver and passenger’s cell phones to the vehicle systems. This allows them to use the vehicle’s stereo and hand controls to place calls safely and easily. Honda doesn’t offer a wireless connectivity on the Accord Sedan.